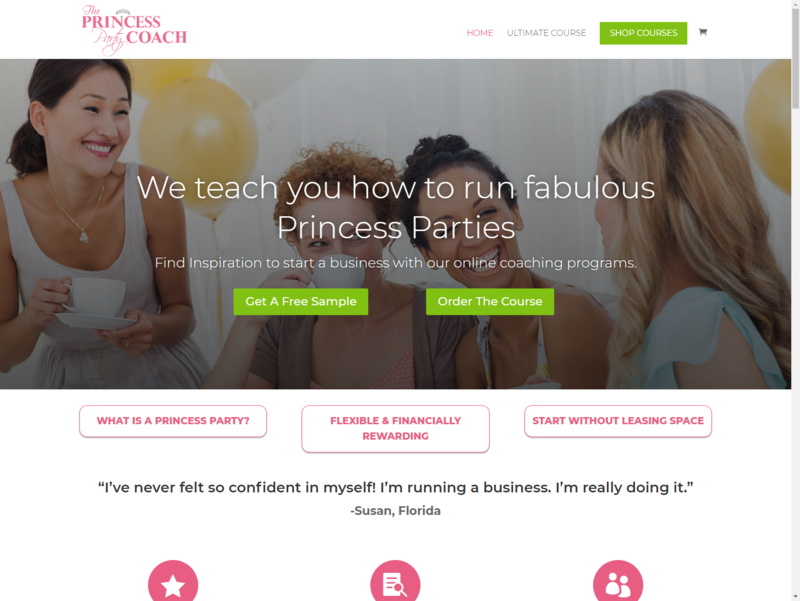 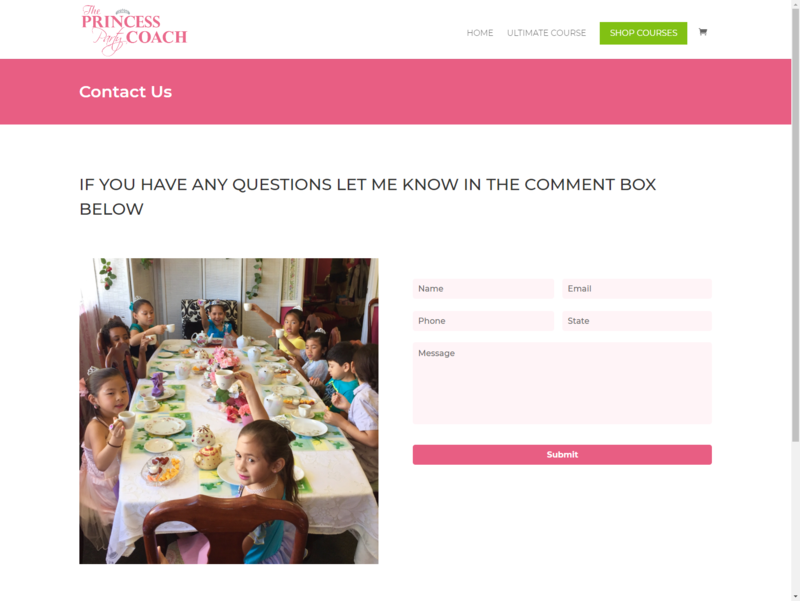 This complete eCommerce site is designed to market and sell online courses created by Hawaii based business The Princess Party Coach. 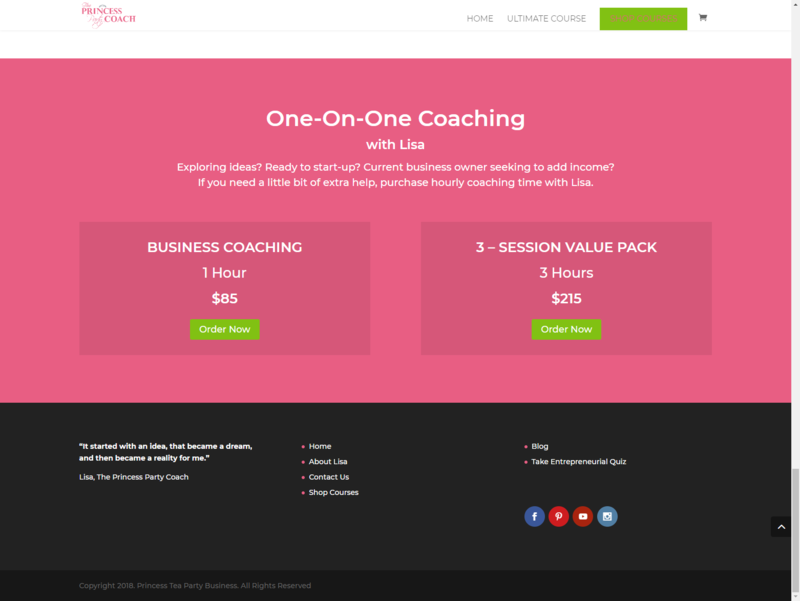 We redesigned the site from the ground up with the idea of focusing on marketing to a wide audience, and making the site look professional and appealing to the target market of women entrepreneur. 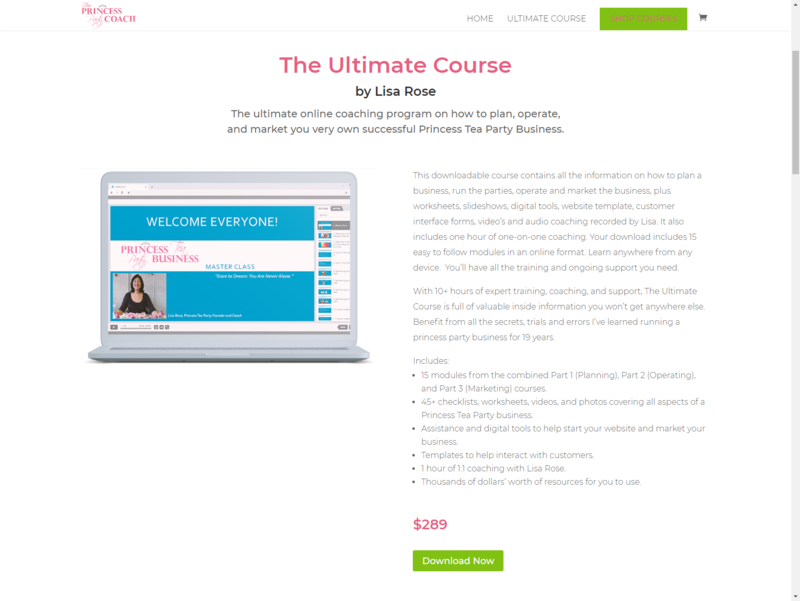 The site contains a complete storefront and checkout system as well as multiple landing pages.